Welcome to August! Wow, I can’t believe we’re here already. It’s now time to check up on my long range forecasting so I can hold myself accountable for the predictions I made a while back. 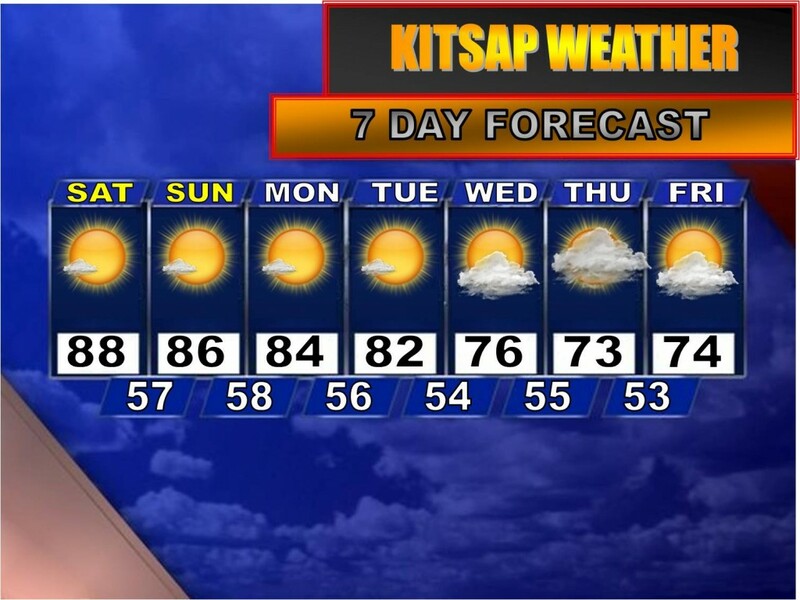 On July 14th I wrote a blog post titled: Sizzling Heatwave to Fry Kitsap Next Week? where I highlighted the strong potential of having an impressive heatwave move in to the Northwest. The biggest flaw that came out of this prediction was the timing. I expected it to arrive a lot sooner, starting on Saturday, July 25th versus Monday, July 27th. The real big heat didn’t really start until the following day on the 28th. However, this can be expected when dealing with long range forecasts. The trend was certainly there and the long range models were definitely calling for a “sizzling heatwave” which absolutely happened, but the timing of WHEN it was supposed to happen was delayed a few days. Wednesday, July 22nd: Overcast 71/53 My forecast: 84 and Sunny (remember, I don’t forecast low temps in the summer) My grade: F ––I really failed that one even if the models didn’t show the marine push until a couple days before it happened. Thursday, July 24th: Overcast 68/53. My forecast: 88 and Sunny. My grade: F —Yikes!! That marine push really messed me up. But the numbers don’t lie! Friday, July 25th: Mostly Sunny 77/50. My forecast: 89 and Sunny. My grade: D+—The reason why I didn’t completely fail myself is because for one, it was a mostly sunny day even if I did forecast complete sunshine. And two, the trend was there. Of course Thursday’s temperature kind of threw us off, the gradual warming trend predicted from Wednesday onward was occuring. But still…horrible grade! Saturday, July 25th: Sunny 87/57. My forecast: 90, sunny and hot. My grade: B+ —I’m cutting myself some slack here. I was just 3 degrees off and it was a very sunny day. When standing outside, 87 doesn’t feel that much different than 90 😉 Again, the warming trend was definitley there. Sunday, July 26th: Sunny 87/55. My forecast: 92, sunny and hot. My grade: B —I called the sunshine and warm temperatures, but the warming trend halted a smidgen and the 90s still haven’t occured. So, as far as predicting a trend, I’d give myself a B average. According to my long range post on July 14th, the Portland metro area and southwest Washington did break 100 for several consecutive days and the cascade foothills did get into the 100s. 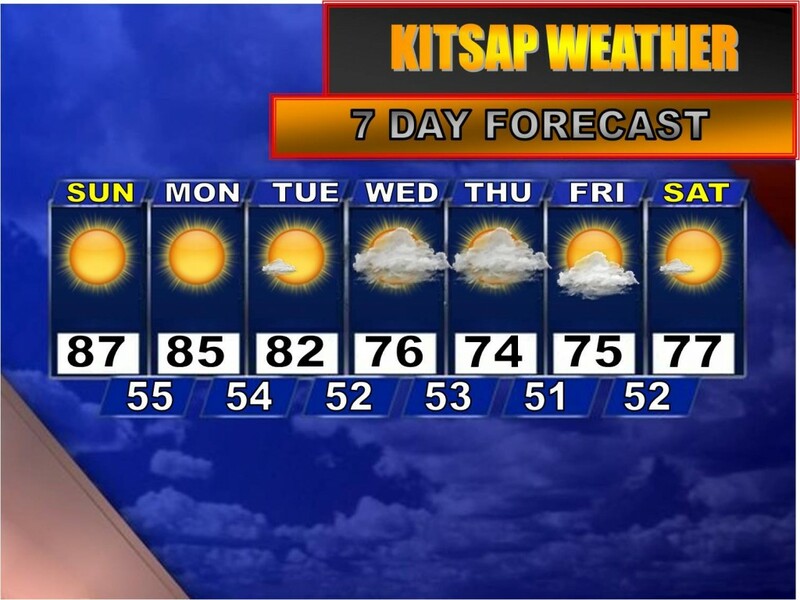 I underestimated how hot it’d get in the Kitsap area (which actually was better to do than overestimate) calling for low 90s. So even if I was a few days off, the “sizzling heatwave” did ultimately materialize. Well, I’m going to go out and enjoy some August sunshine. 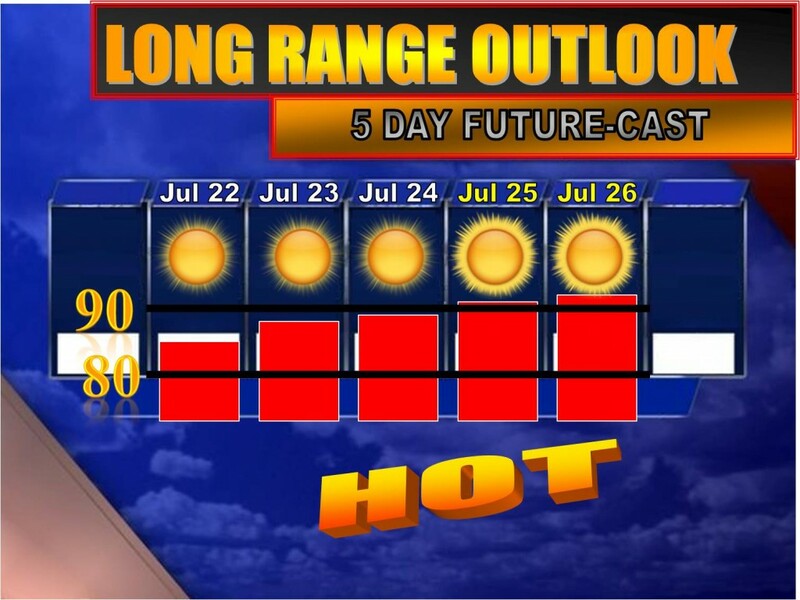 Highs today will be nudging 90 with upper 80s in the forecast tomorrow before much cooler weather arrives for next week. By late week we *may* even see a few sprinkles. But don’t hold your breath!